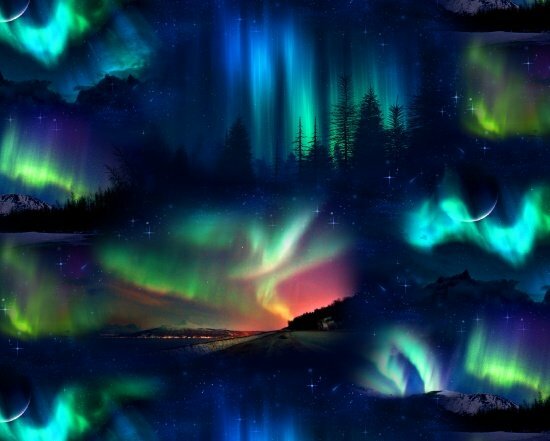 Aurora Borealis / northern lights fabric. Digitally printed for extra vibrant color. 100% cotton.